Just days after NASA’s New Horizons spacecraft transmitted stunning photographs of Pluto showing mountains of ice, a Brazilian-led team of astronomers announced the discovery of a Jupiter-like planet orbiting a star much like our sun nearly 186 light years away. The discovery by the European Southern Observatory (ESO) team led by Brazilian astrophysicist Jorge Melendez at the La Silla Observatory in Chile could have significant impact on further determining how our solar system was formed. The team’s article “The Solar Twin Planet Search” in Astronomy and Astrophysics, says their “analysis shows the planet HIP11915b to be a close match to Jupiter both in mass and orbital period, and its host star is extraordinarily similar to the Sun”. With the orbital period being very similar to Jupiter’s around our sun, the probability is hight that HIP11915 is likely the same distance from its star. searches,” the team conclude in their paper. The discovery was announced in an ESO press release on Wednesday. Contemporary astrophysics theories hold that finding planets that are equal in mass to our Jupiter and located equidistantly from a star could mean that the solar system being studied is very similar to ours. If that holds true, then the possibility of planets like planet Earth being located in this solar system are also high. The next step would be to consider whether such variables translate into the existence of water on these planets, and therefore – life. “Although many planets similar to Jupiter have been found at a variety of distances from Sun-like stars, this newly discovered planet, in terms of both mass and distance from its host star, and in terms of the similarity between the host star and our Sun, is the most accurate analogue yet found for the Sun and Jupiter,” the press release said. 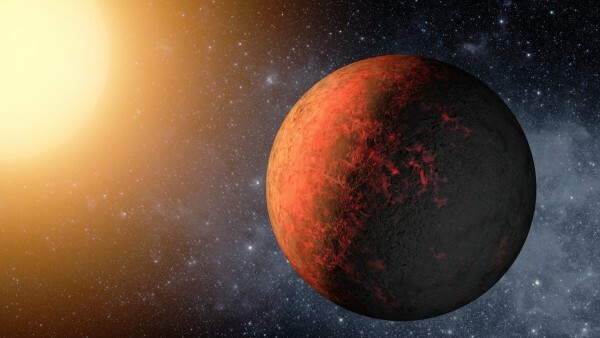 Melendez, a professor of astrophysics at the University of Sao Paulo in Brazil, says the search for an Earth-like planet in a “Solar System 2.0, is one of the most exciting endeavors in astronomy”. The team says it will carry out years of research to finalize its findings. what happens to planetary predictions based on Jupiter One ?